Pretreatment is a key step to alter the recalcitrance structure of lignocellulosic biomass for enhancing enzymatic hydrolysis. Rice straw is an agricultural residue which is one of the potential substrate for ethanol production. In the present work, optimization of microwave-assisted pretreatment of rice straw in FeCl3 solution with H3PO4 was performed. The effect of concentration of FeCl3 and H3PO4 along with pretreatment time was evaluated. The optimal pretreatment condition was found as follows: 250mM FeCl3, 3%H3PO4, 155°C, and 20 minutes. The pretreated pulp was subjected to enzymatic hydrolysis using commercial cellulase for assessing effectiveness of pretreatment system. 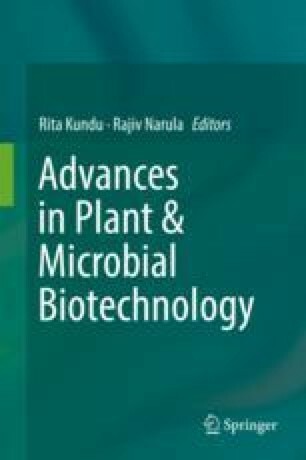 The maximum saccharification per pulp and per biomass was observed as 98.9% and 66.4%, respectively, under enzyme load of 3 FPU/g of substrate after incubation for 48 h.
The authors acknowledge the financial support provided by Department of Biotechnology, Government of India through project sanction wide no: BT/PR7333/PBD/26/373/2012.